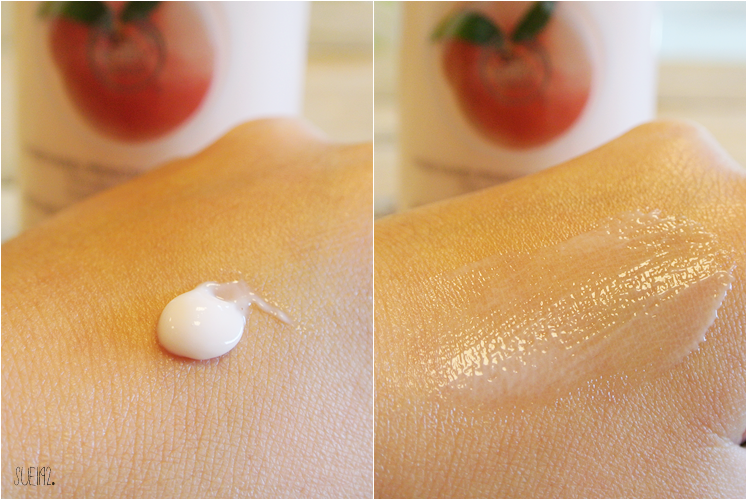 This silky moisturiser smells like freshly picked peaches, and soaks in to leave skin feeling peachy-soft. Here a review about a The Body Shop product. The Vineyard Peach line, was launched in September, followed with a lot of positive and enthusiastic reactions. And so am I! The smell is absolutely amazing and a dream to use. It does smell exactly like peaches - maybe even sweeter, but also refreshing. I've been using it almost every time after shower at night. I do notice that the smell is faded away the next morning. The consistency is really thin, easily to distribute and absorbs immediately. The body lotion contains of shea butter and brazil nut oil. Doesn't leave a greasy or heavy feeling at all. I've noticed that it keeps my skin hydrated and soft all the time if I use it frequently. I'm happy with the pump, which makes it easy to use. Overall I really love this body lotion. Again, it's a dream to work with and smells heavenly. I've almost finished it, luckily I got a back up and I will even buy more, because it's a limited edition. 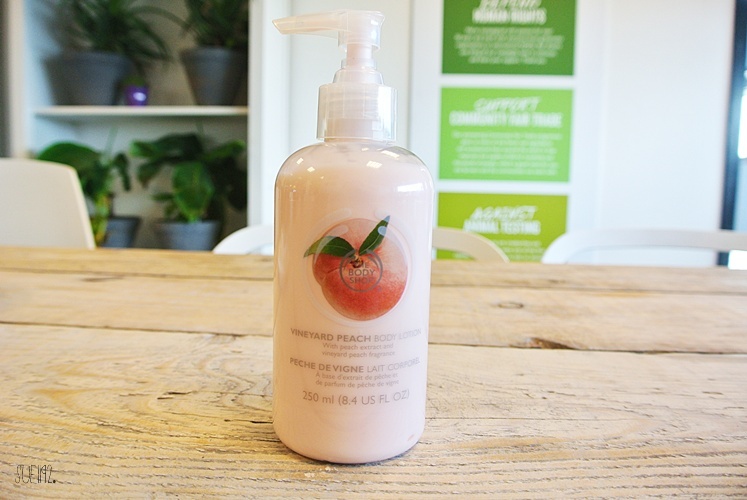 The Vineyard Peach Line comes in body butter €16, body lotion €12, body scrub €15 and shower gel €6,50.